Meet the team: what’s a Project Controller doing all the way into the jungle? A launch campaign is the final big leap for a space project, where all the teams work hand in hand for several weeks: the ESA Team, the Industrial Team, CNES and Arianespace. It sees a significant number of people, performing different activities, from the critical fuelling of the spacecraft to the exciting pushing of the final button in the control room. But there are other people, working a little more in the background, that are necessary for the smooth running of all the compressed and fast activities during the campaign. For example, what is a Project Controller doing all the way into the jungle, where no programmatic papers nor procurement best practices are needed? Basically I have to make sure that our work and all the activities in this Guyanese outpost are smoothly running, from the programmatic point of view. 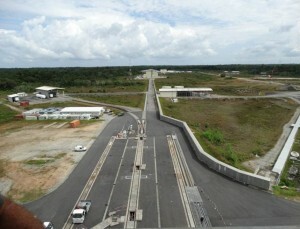 Just to give some examples, if some procurement for the spacecraft needs to be performed, or additional services from Arianespace or Astrium are needed, or any programmatic issues come up, like a change in the launch date, I am here to estimate the financial and contractual impacts, initiate the actions and follow up the programmatic route. I’m also here to support the Project Manager and the Launch Campaign Manager in the negotiations with the suppliers, it is far more easy discussing and negotiating around a table, face to face, than in a telecom with 5 hours’ time difference! 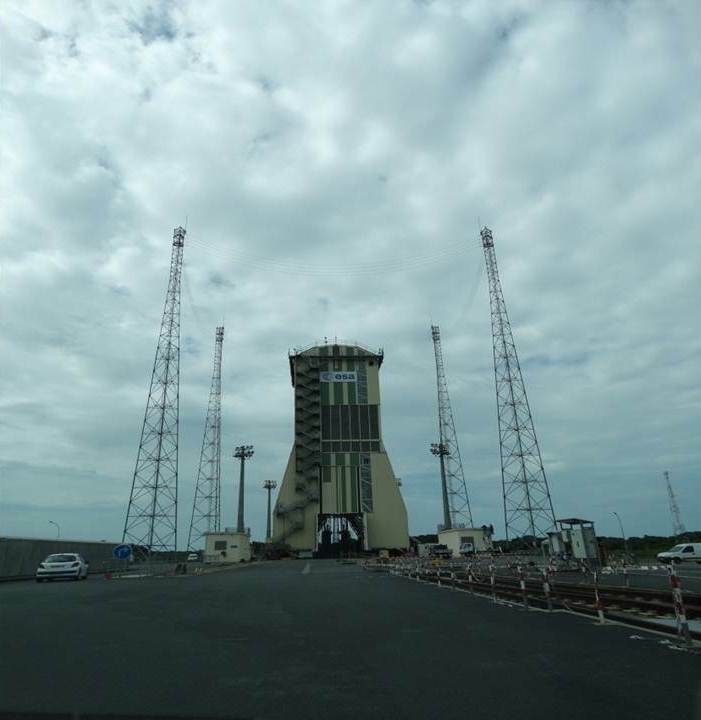 The schedule to get Gaia ready for launch is dense and tight, I have to make sure that bureaucracy does not interfere with the fast running of the launch campaign. Beside this, to be sure that all the tight operations are under control and on track, the overall schedule needs to be worked upon and swiftly adjusted whenever needed. 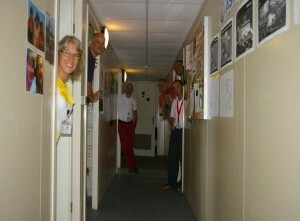 More on the practical side, I have to take care of the Project Team “pockets”. Nowadays we are used to get away with pin and credit cards, but French Guyana is in South America, despite being a French territory. Paper money is the rule and blithely wavering them around is not safe. So how to get a full tank in the car with no fear to open your purse or settle five weeks of hotel bill, once you have reached the monthly ceiling of your debit card? Pass by my office and I get it sorted out for you! I am organising whatever is financial support for the Team, book keeping and accounting, setting up all the agreements with the local services and liaising with ESA Treasury and Finance. We have also a local bank account and getting it up and running was not a joke, forget about our smooth telematic means and get out quill-pen and inkpot … At least running around Kourou and Cayenne brings me very close to local people, I have the unusual chance to know better habits and culture of this multicultural country. Overall, I feel much like a mechanic greasing the engine to be sure that it runs at its best performances, smoothly and efficiently! We also got to visit the assembly line of the Soyuz and the launch pad. It is truly an impressive set up. Here are some pictures. The Soyuz assembly line in the “MIK” – the Soyuz Launcher Assembly and Integration Building – where all Soyuz launched from CSG are integrated. 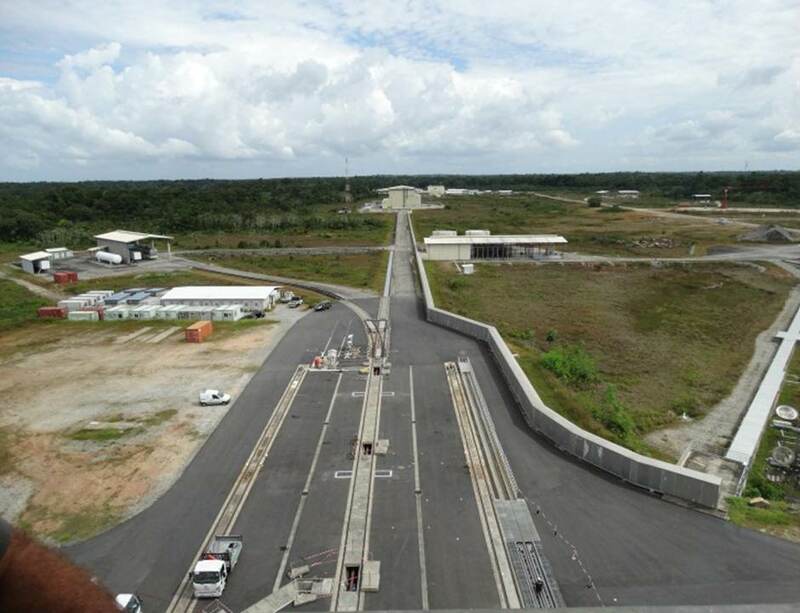 The road from the assembly facility to the launch pad, along which the Soyuz will move in vertical position, without the “upper composite”, that will be integrated on top of the rocket once at the launch pad. 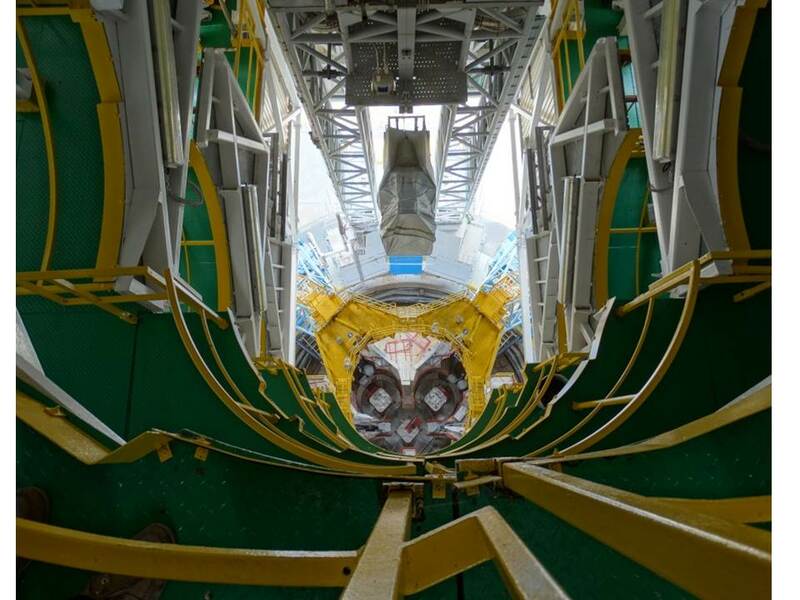 The “upper composite” is the fairing enclosing Gaia and the Fregat (the 4th stage). 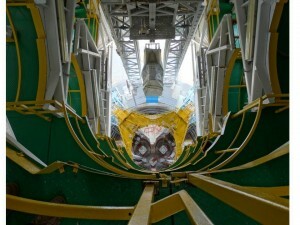 An impressive view down the launch pad. 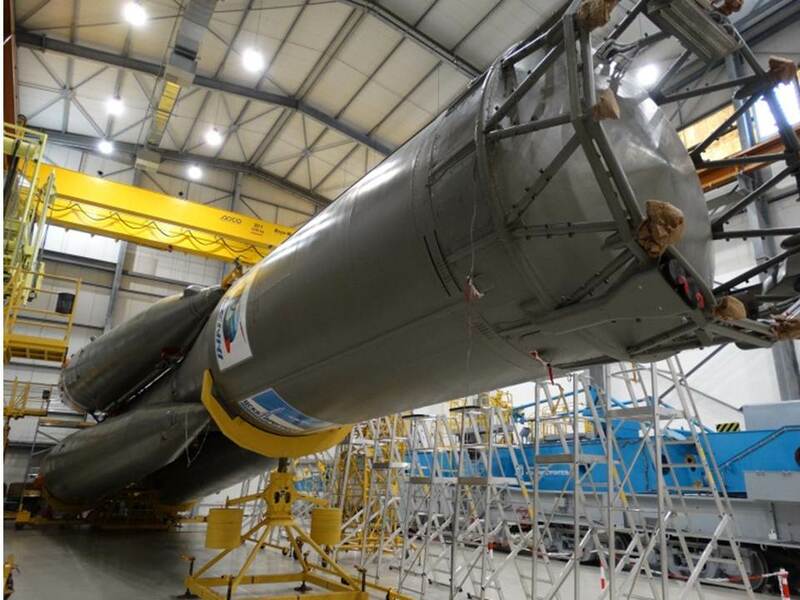 The locations of the boosters are clearly visible. 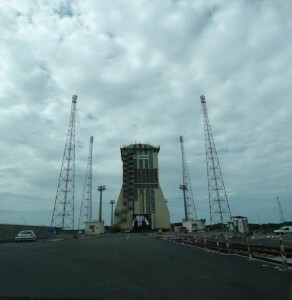 The gantry covering the launch pad. 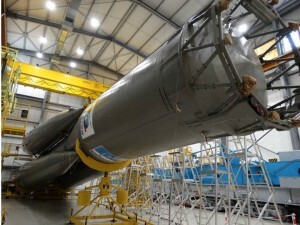 Shortly before the launch the gantry slides away to leave the pad uncovered.